From left to right, going clockwise: A New York strip steak from the newly reopened Ruth's Chris Steakhouse, an Esslinger's Beer T-shirt from Shibe Vintage Sports, the 'Pass the Grass' board game from retired dentist Paul Greenwald in Montco, mountain camping socks from Mitchell & Ness and a ceramic flask from Fireside Camp Supply. They surprise us with their candor, make us laugh when we're blue and never fail to keep us grounded when our mind wanders toward the absurd. And for all of the above reasons (and lots more), we pay them homage each Father's Day. It's the least we can do. Like, bare minimum. 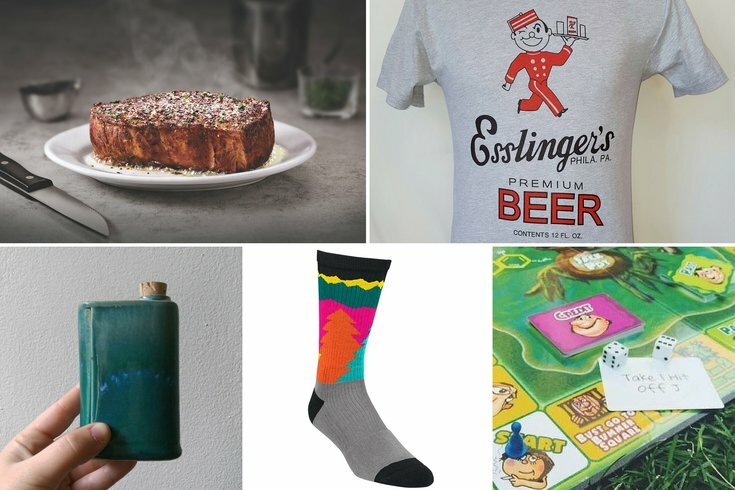 Below, find 11 local — or locally minded — Father's Day gift options that will delight dads who cook, drink way too much coffee, take their Sixers pride seriously and more. 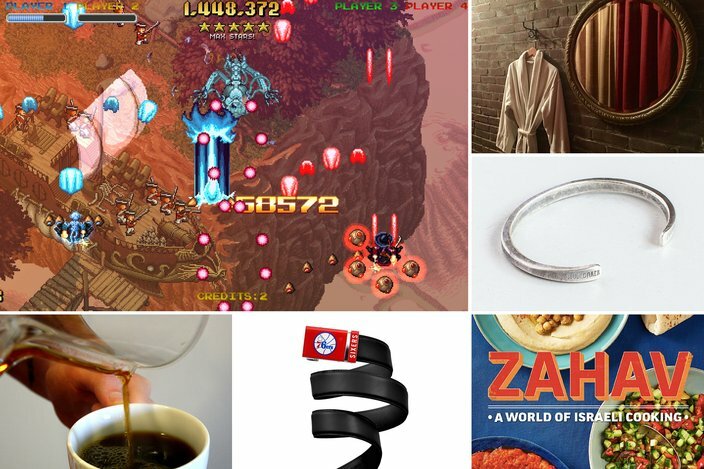 From left to right, going clockwise: The 'Jamestown' video game by Final Form Games, a men's facial from Fabriq, a sterling silver men's cuff from Workshop Underground, 'Zahav: A World of Israeli Cooking' by Michael Solomonov, a no-holes 76ers belt and a Chemex coffee maker from Function Coffee Labs.